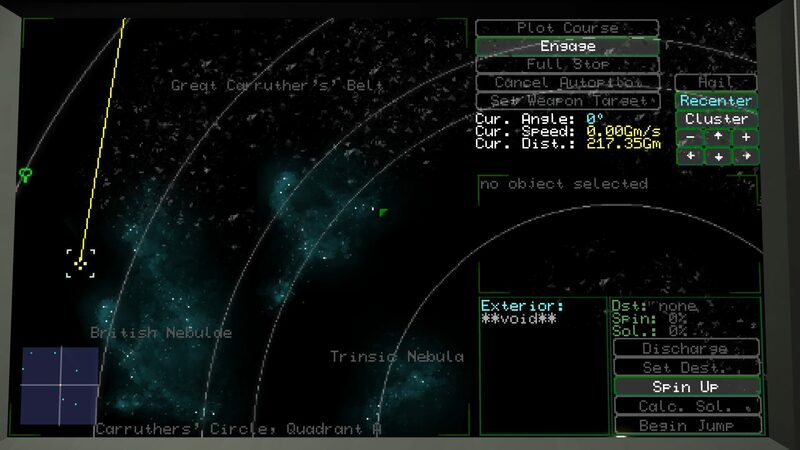 It seems like the whole “open universe space sim” genre is really the next big gaming thing. With games like Elite: Dangerous and Star Citizen as the biggest powerhouse names, while smaller indie titles like Rebel Galaxy, Dual Universe, Lightspeed Frontier (which was recently funded on Kickstarter), and now a new challenger joins the ring: Objects in Space, from Flat Earth Games. Perhaps a more minimalistic approach to the genre than any of the other aforementioned games, but based on what I’ve seen it should have what it takes to hold its own in what is already a very competitive genre that’s only poised to get more crowded over the coming months. 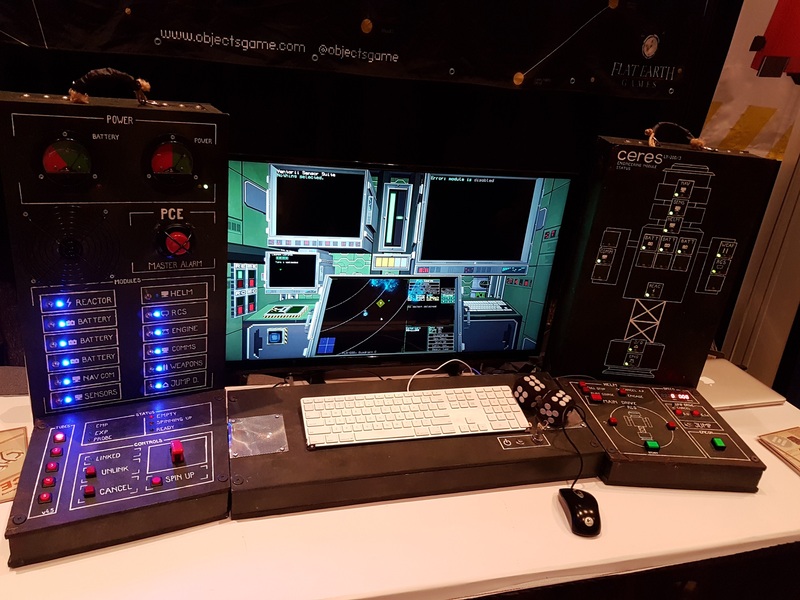 At PAX West, despite not having any kind of extravagant display around its booth, Objects in Space still made itself stand out by having a somewhat unique setup, in the form of a full control console similar to something you might see in a submarine, or some old-school sci-fi movie. 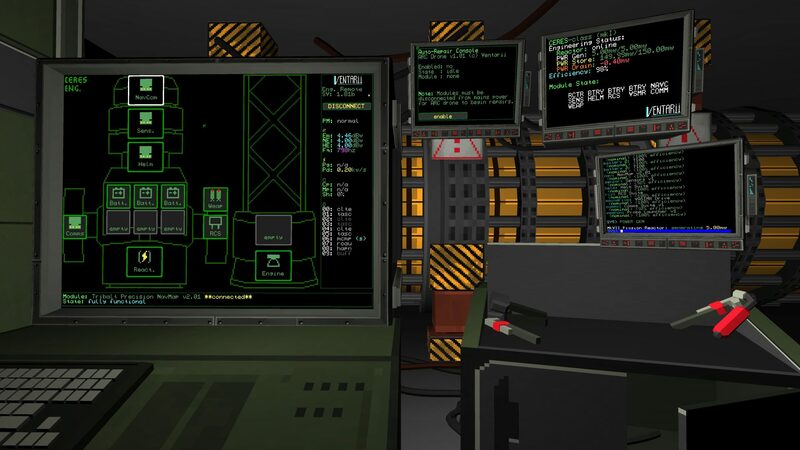 In fact, according to director Leigh Harris, they were specifically trying to emulate submarine-like controls for the ship, while giving the interior an aesthetic akin to Alien-era science fiction, with lots of big, bulky green-on-black CRTs crowding every area of the ship with minimal graphic and text readouts. The physical control setup was big and boxy as well, with large, square green and red buttons for controls and small green, red and blue LEDs forming the readouts. The ship has no main forward display or viewport, instead having a map of the surroudings shown on one of the in-game screens that shows nearby ships and points of interest. It’s an unusually abstract representation of space combat, but gets across the information it needs to in the simplest manner possible, which is kind of refreshing in its own way. 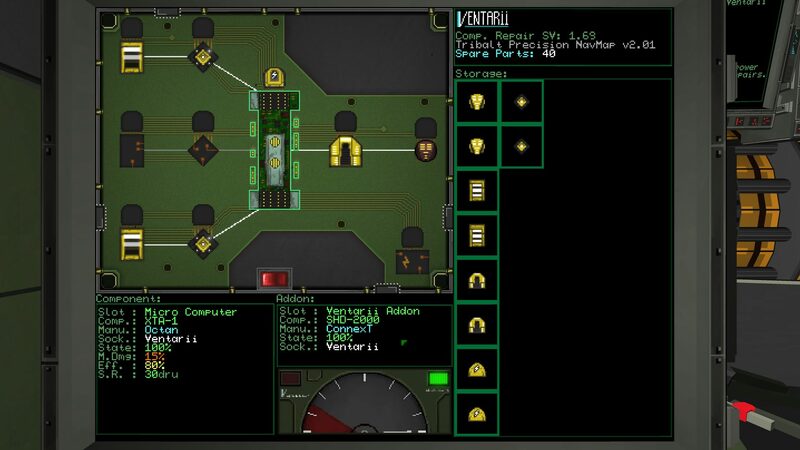 As a result of the cumbersome process of controlling your ship, combat seems to have a somewhat methodical pace to it. The demo has a single encounter with an enemy ship, and I got exceptionally lucky in my session, with the enemy ship appearing in such a way that by the time it was close enough to have noticed me, I had happened by chance to have maneuvered right into its blind spot, allowing me to get the single killing shot off without being seen even once. Unfortunately this means I never got the chance to see how combat really worked, when you’re forced to take evasive action while also needing to deal with damaged systems and retaliating. Weapons have a warm-up time before they can be fired, meaning you need to plan well in advance before engaging an enemy.